When that sweet tooth calls, nothing will satisfy it like some chocolate. 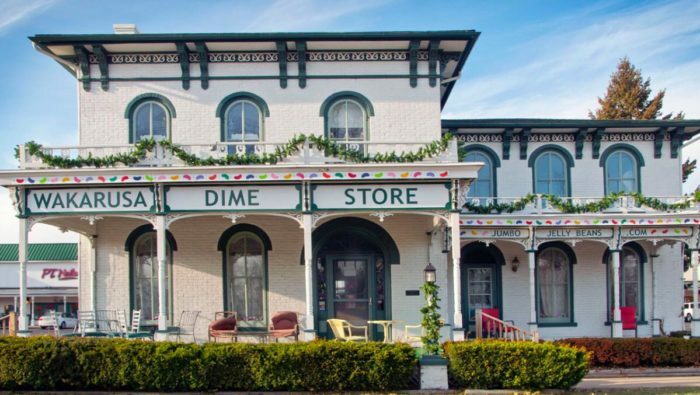 If you’re looking for something a bit more special than what they have at the store, it’s time to visit these eight vintage chocolate shops in the Hoosier State. 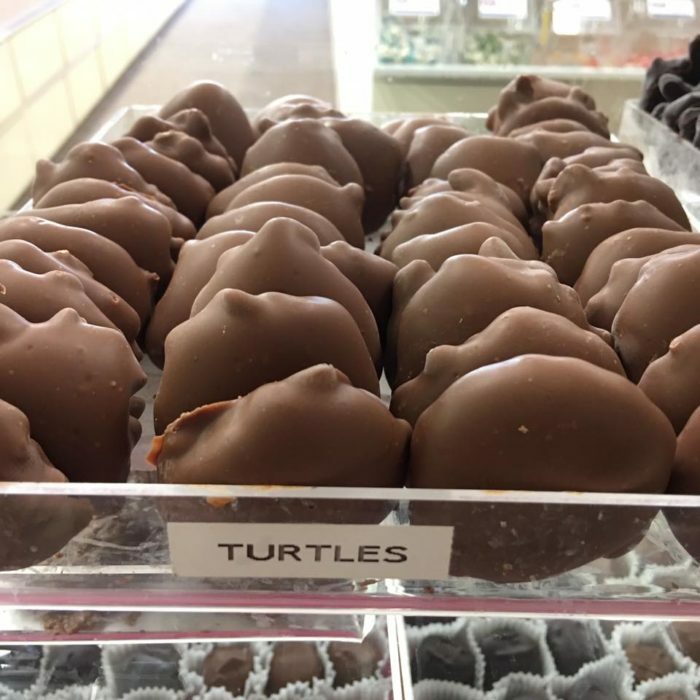 Truffles, turtles, candy bars, and much more will be found on this road trip. 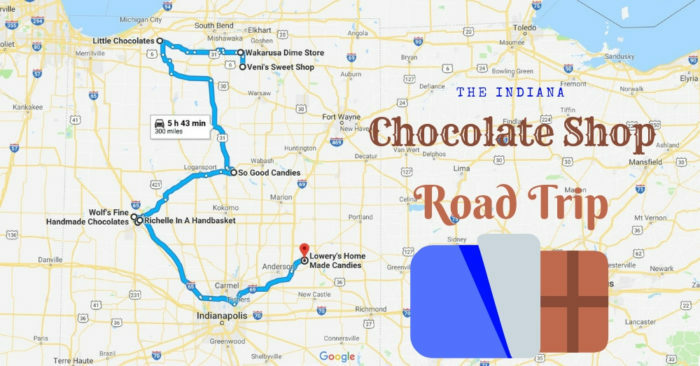 Our road trip of vintage chocolate shops takes you around northern Indiana, beginning in Nappanee and ending in Muncie. Lasting nearly six hours in total just for driving time, this adventure is one you may wish to take in two days, and you can begin at either end. Click here for an adjustable version of this map. 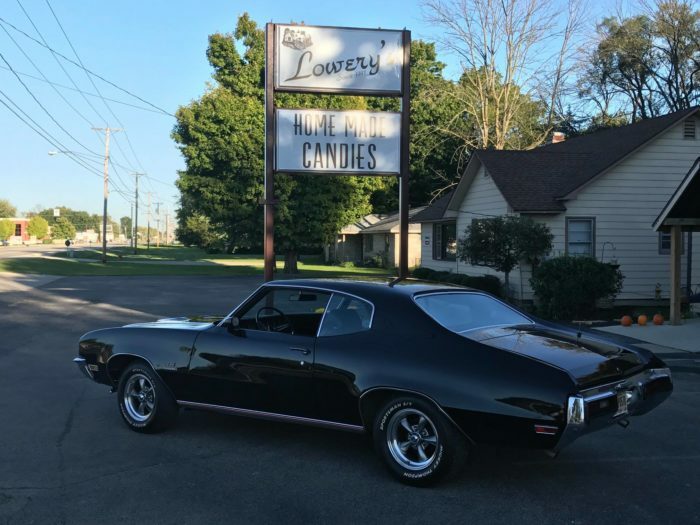 Though this gorgeous shop has only been in business since 2010, its candies have been sold since 1910. 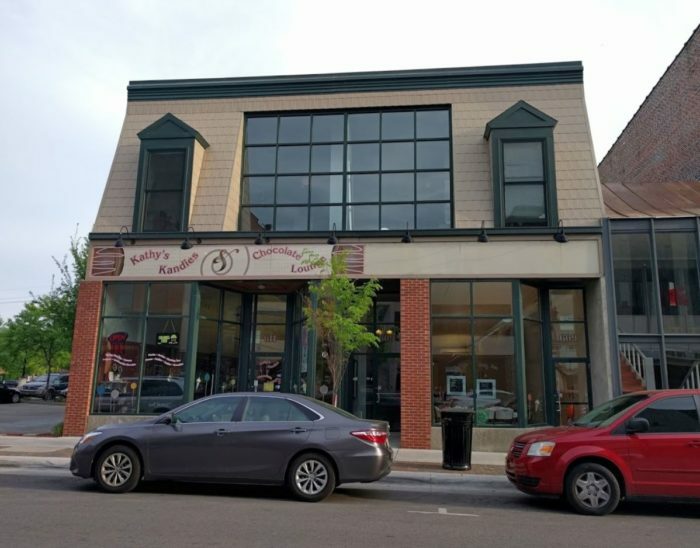 This adorable shop is a sister location to the one in Niles, Michigan, but the chocolates are the same. People love these sweets so much, they have them delivered to their door. 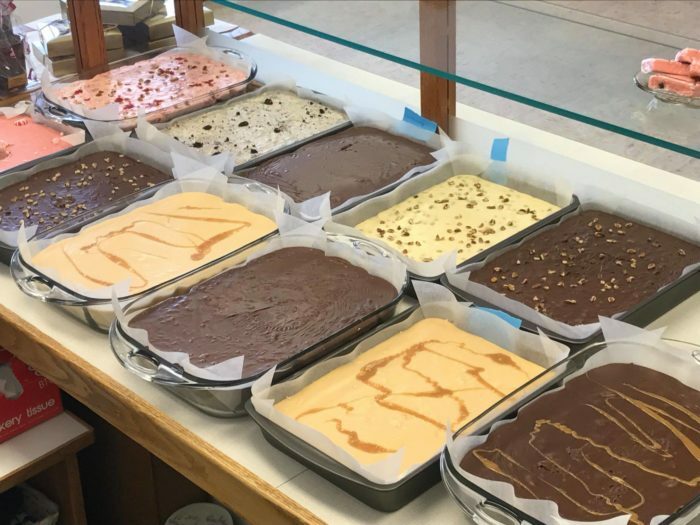 Find dark, milk, and white chocolate delights at 101 W Market St., Nappanee, IN 46550. 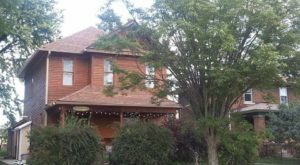 This wonderful spot has two amazing locations (both of which are pictured because they are charming and unique), but this vintage chocolate shops road trip will take you by the one in Wakarusa. 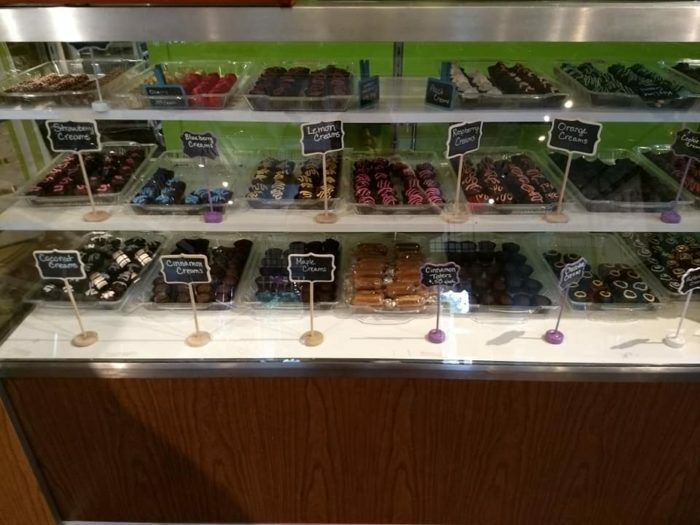 They sell Fanny May chocolates out of Chicago, including candy bars, chocolate-covered caramels, and more. 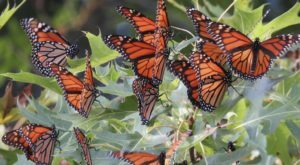 Find it at 103 E Waterford St., Wakarusa, IN 46573. 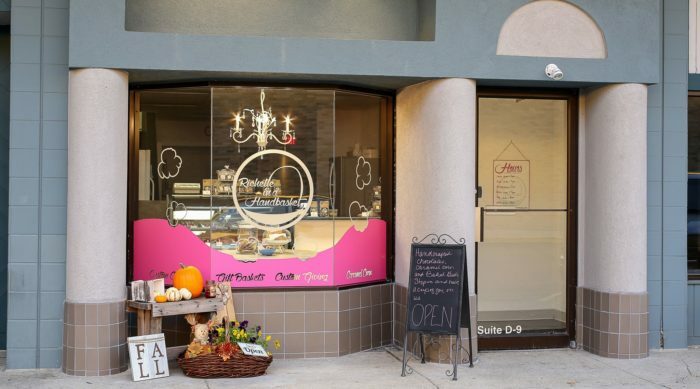 Featuring 40 different types of candies, this sweet shop has been in business since 2010. 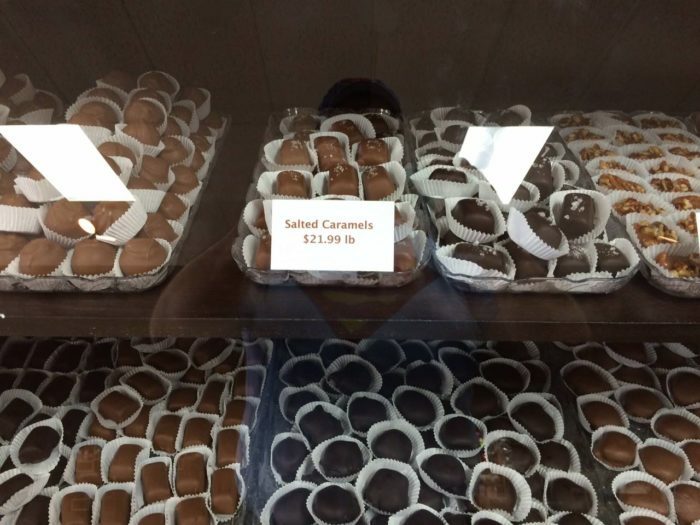 Everything is handmade at this locally-owned store, including cake pops, chocolate-covered pretzels, caramel pecan patties, buckeyes, truffles, and more. You can even order chocolates to be delivered to your door. 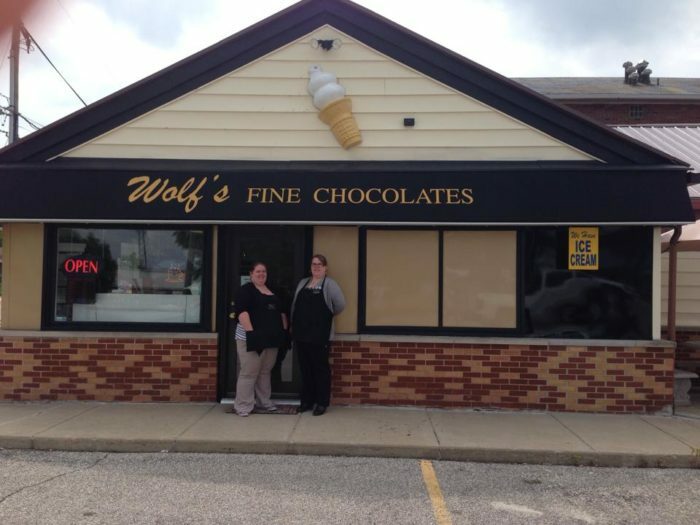 Stop by 916 1st St., La Porte, IN 46350 to pick out your own goodies. 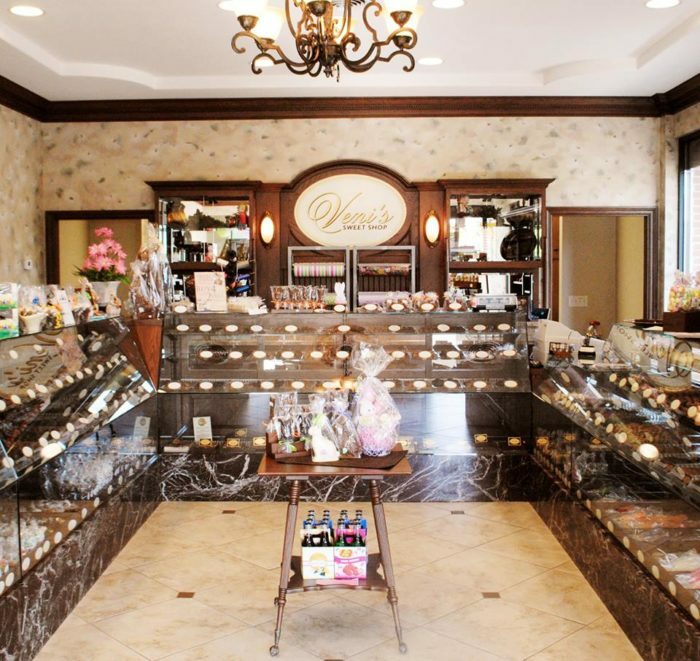 This excellent and old-fashioned candy shop has a wide assortment of candies to choose from. Turtles, toffee, caramels, creams, nuts, buckeyes, barks, brittles, and fudge abound. 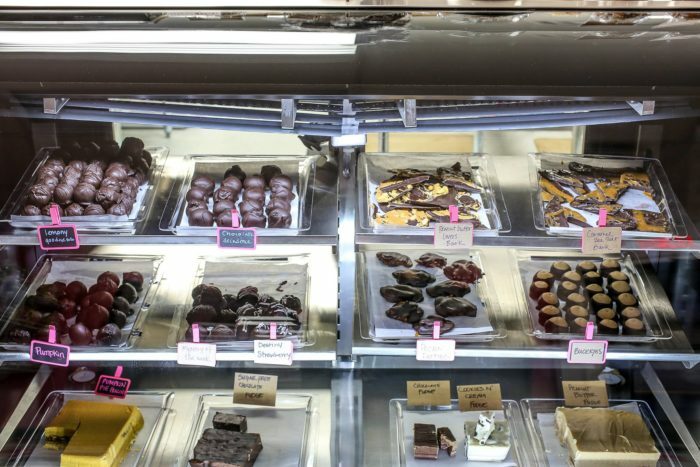 This store will also ship chocolate to your door if you just can't get enough. It is located at 25 W 3rd St. Suite A, Peru, IN 46970. 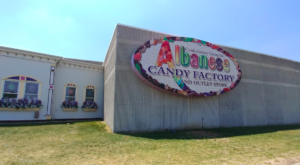 Candy bars, truffles, cherry cordials, fudge, and even treats like caramel corn and hard candies can be found at this wonderful place. 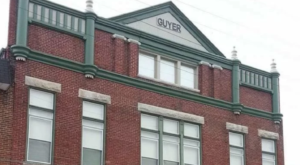 It has been around for about 50 years and is dedicated to bringing Hoosiers the finest chocolates in the state. Make a stop at 1185 Sagamore Pkwy. W, West Lafayette, IN 47906 for this great joint. 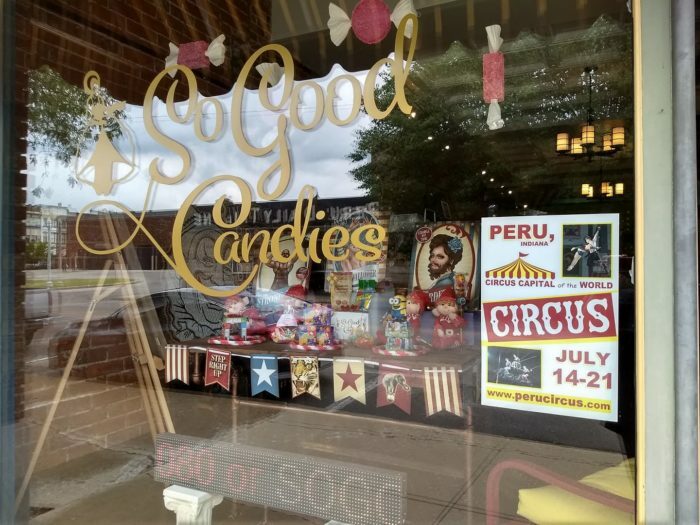 The owners of this candy shop work daily to produce fresh treats for locals to enjoy. 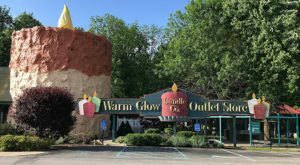 It has been in business since 2000 and is a fabulous place to find holiday goods, including cakes, cookies, and cheesecake. 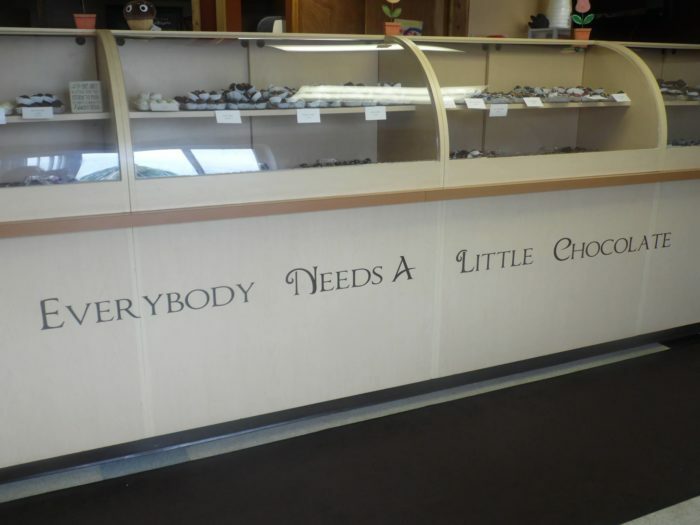 Every sweet tooth will be satisfied at 611 Main St., Lafayette, IN 47901. 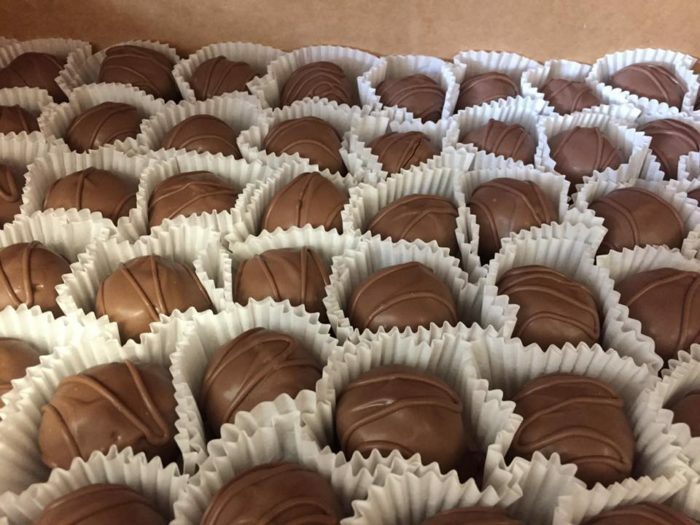 You can get these chocolates individually delivered to your door through Grubhub or stop by 2200 Elmwood Ave. d9, Lafayette, IN 47904 to see them all for yourself. 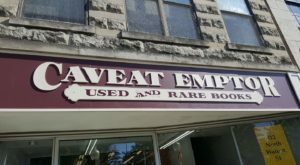 In business since 2014, this is a wonderful spot to find gifts and other treats. 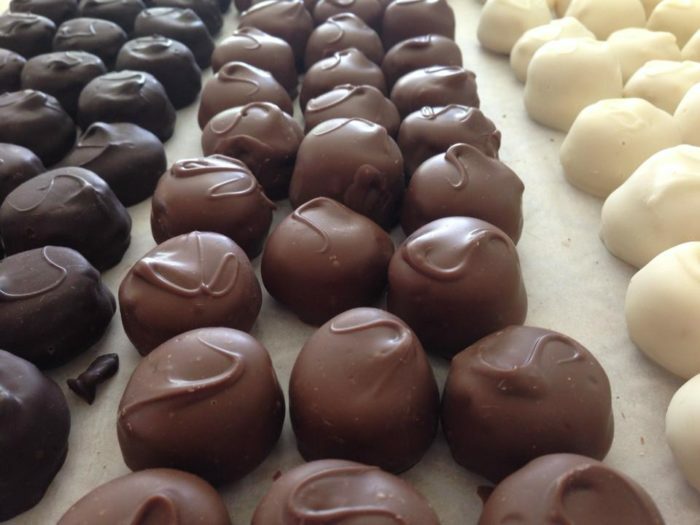 Truffles, barks, chocolate-covered strawberries, and buckeyes will please your chocolate craving but there is also popcorn, coffee, and baked goods to enjoy. Certainly the oldest of Indiana's vintage chocolate shops, this place has been around since 1941. Everything is homemade with great care to ensure quality. 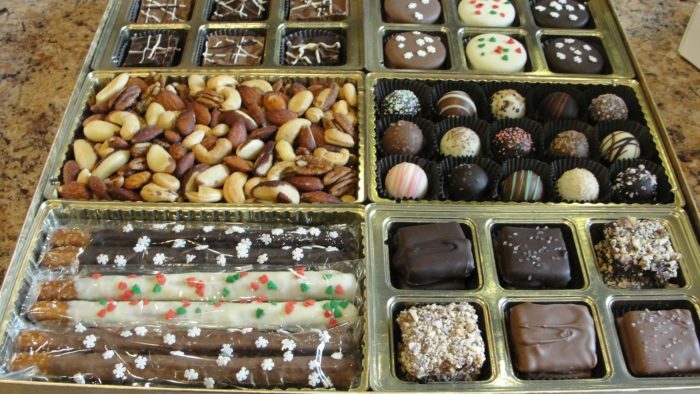 Fudge, toffee, chocolate-covered nuts, creams, and much more abound. 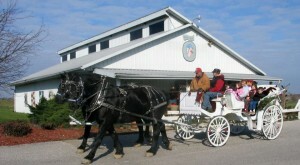 Holiday wonders can also be found at 6255 W Kilgore Ave., Muncie, IN 47304. 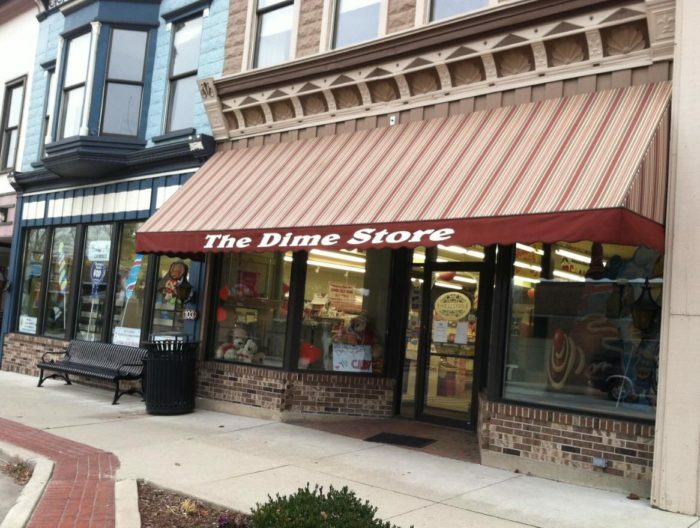 For more like this, check out these seven candy stores in Indiana that will make your sweet tooth explode. 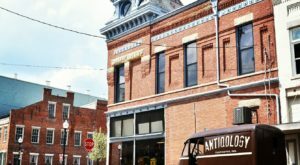 What other vintage chocolate shops do you love to visit in Indiana? Share your favorite places with us below in the comments.